What is Accelerated Follicular Restoration™ (AFR™)? Accelerated Follicular Restoration™ (AFR™) is a patent pending, proprietary way of decreasing the dormancy phase after a hair transplant. This means that with AFR, it takes less time for transplanted hair to start growing after a hair transplant. Discovered by Florida hair transplant surgeon Dr. Shapiro, AFR results in the dormancy (telogen) period decreases from the usual 3 — 6 months to just 6 weeks — 2 months. AFR by involves taking Dr. Shapiro’s Help Hair™ Shake on a regular basis after a hair transplant. Hair is made from nutrients in the body. Science has clearly shown that nutritional deficiencies can cause hair loss and hair damage. AFR takes this idea a step further. Dr. Shapiro’s Help Hair Shake is a whey protein concentrate-based formula that includes extra ingredients specifically chosen for improving the hair, including herbs, minerals, special vitamins, and a proprietary amino acid blend. This formulation contains a significant amount of biotin, which is considered to be the most important nutrient for healthy hair. Help Hair Shake also has iodine for healthy thyroid function (the thyroid regulates hair growth), B vitamins for stress, and niacin to help open the scalp’s micro-capillaries. Zinc, manganese and other minerals essential for proper cell function are also included. Help Hair Shake is mixed with water or a beverage and taken twice per day. A number of recipes for preparing tasty and targeted shakes using Help Hair Shake are on the product label. For example, one Help Hair Shake recipe is designed as a snack replacement, while other Help Hair Shake recipes support working out or thinning hair. The initial application of Help Hair Shake was for anyone who wanted to improve their existing hair (and nails, too—nails are made of many of the same nutrients as hair). This includes people with hair thinning or hair loss for virtually any reason, such as male pattern balding, hormone imbalances, medication side-effects, and more. Also, people who have damaged hair that breaks easily, looks thin or dull, or may have been affected by hair treatments. In a study of 100 people who had hair loss, 94% of the participants said that their hair looked better after taking Dr. Shapiro’s Help Hair Shake. After 4 or more weeks of taking Help Hair Shake twice a day, the participants said they had healthier, shinier hair, less hair loss, less hair breakage, stronger and longer looking hair, faster growth, bouncier, and the hairs appearance was fuller and thicker. Significant hair improvement was noted by 62% of the subjects. Help Hair Shake also proved capable of reducing the dormancy period after a hair transplant or hair restoration surgery. In another study of 115 women and men who took Help Hair Shake directly after a hair transplant, all of them had hair growing from the follicles that were transplanted only 6 weeks after the hair transplant. At three months, everyone in the study group had at least 3/4″ length of hair growing from the transplanted follicles. The controls in the hair transplant study, who had hair restoration surgery but did not take Help Hair Shake, had the same results that nearly everyone has after a hair transplant: hair began to grow from the transplanted follicles after 3 months. Help Hair Shake accelerated the follicular restoration, hence the term Accelerated Follicular Restoration. Help Hair Shake has been shown to reduce, or perhaps even eliminate, the dormancy period after a hair transplant. The specially selected nutrients clearly have a significant positive effect on hair, and make transplanted hair grow in more quickly. 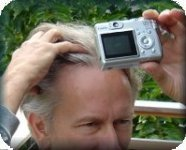 This entry was posted in Baldness, Hair Damage, Hair Health, Hair Loss Products, Hair Transplant, Hair Transplants on August 6, 2010 by Larry Shapiro.